Am I too old to learn to ride? How old is too old? If you’re in your 20’s or 30’s, you probably aren’t worried about these questions in the slightest. (In fact, if recent industry news reports are to be believed, you aren’t even thinking about riding. What’s up with that?) But if you’re in your mid-life and contemplating riding a motorcycle, this may actually be one of the first questions you ask yourself. Are you physically capable? 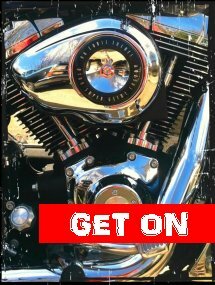 You don’t have to be an athlete to ride a motorcycle – I am living proof of that… But you can’t be physically frail – you must have confidence that you’ll be able to raise the bike off the kickstand and maneuver it around. This doesn’t speak to your age, per se. Rather it speaks to your physical suitability for operating and controlling a bike. So instead of thinking about your age (50? 65? 76? ), think about your aging: How are your vision and hearing? Your reaction times? Your upper body strength? Your knees, hips and ankles? The steadiness of your gait? Your quick-thinking capabilities? Your general ability to quickly absorb and learn new tasks? Of course, your physical limitations – whether or not they are related to aging – don’t necessarily preclude you from riding if you have the determination to work through them. I know of one woman who suffers from chronic fibromyalgia and rides thousands of miles a year, in spite of the discomfort it creates. Another who lost her leg in an accident and still rides with a prosthetic. When you have physical limitations, you should seek out other riders who battle the same limitations – chances are you’ll be surprised at the types of “issues” people ride with, and the ways in which they’ve managed to cope with those issues. I’ve just been blessed with my first grandchild! My diabetes is making my foot numb. I haven’t had the same zeal since the heart attack three years ago. I’ve been riding for 25 years with no accidents – maybe that’s enough adventure. I have a friend who is in her late 60’s. 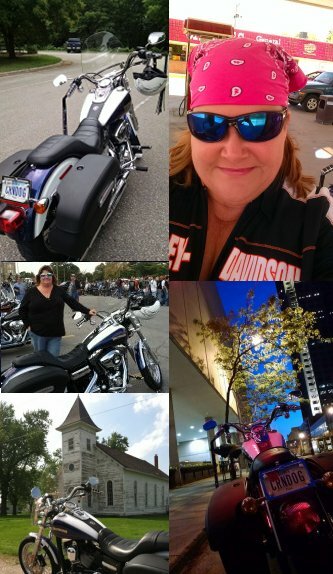 After a medical issue was discovered, her doctor told her “You can ride, but if you do anything to injure your spleen you’ll bleed to death before help can get to you.” She has been riding for more than 12 years with never so much as a bike drop. 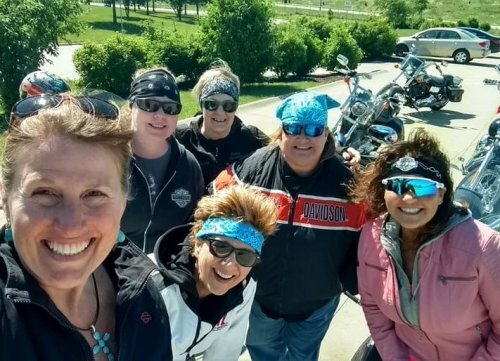 She’s not “too old to ride,” but she has re-considered the risk vs. the reward and decided she’s done with motorcycles. Ultimately, the question of whether you’re “too old to ride” is one you’ll have to answer for yourself. But remember, there’s no magic cut-off number. Whether you are too old has far more to do with the impact of aging than with actual age. You already made all of the good points. At some point we may have to stop (heaven forbid) or decide that another bike is right for that time of our lives. I hope I have many more in me.